When I go try to manage My Family settings at windowsphone.com, it shows me the Get Started link, but I don't have any accounts hooked up to it. I think the problem is that I started to download a trial of Kinectimals and handed the phone off to my daughter, who was prompted for a birthdate. I thought it was asking for a birthdate as part of the game, and told her to input her own birthday. So now my windowsphone account thinks I'm 7 years old and I can't find any way to update that. 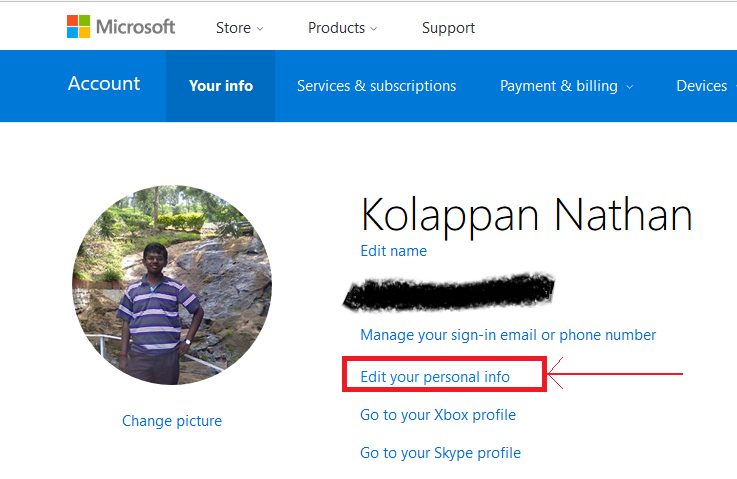 I got the answer from Microsoft directly - there is no way to change the birthdate associated with a store account. Apparently Microsoft can't or won't help you with it either. I had to delete my account, reset my phone, and create a new account!!! Hi I had the same issue setting up my sisters phone. To fix the problem log onto your live account at www.live.com go to your account settings (not your profile settings) then change the d.o.b to the correct one. My sisters was showing she was born in 2000, where in reality she was born in 1982. A quick change of the details and the app store worked correctly. Change your Date of Birth and click save. Your account details will be updated across all MS services. I searched a lot and tried many times to change the date, but I was still unable to download apps. So I went to menu>settings>about>reset your phone and then I opened a new Microsoft Account (Hotmail) and I made the year of birth 1970. I tried it on my Windows Phone 8 (HTC 8S) and it worked. Hope that helps :)! Not the answer you're looking for? Browse other questions tagged settings parental-control or ask your own question. how to set up an family setting? how do i do to download me some apps without arranging the family? I Cannot Download X-Box Games !! Needs Parent? How to buy a game for a kid account in Windows Phone 7? How to disable my family settings?